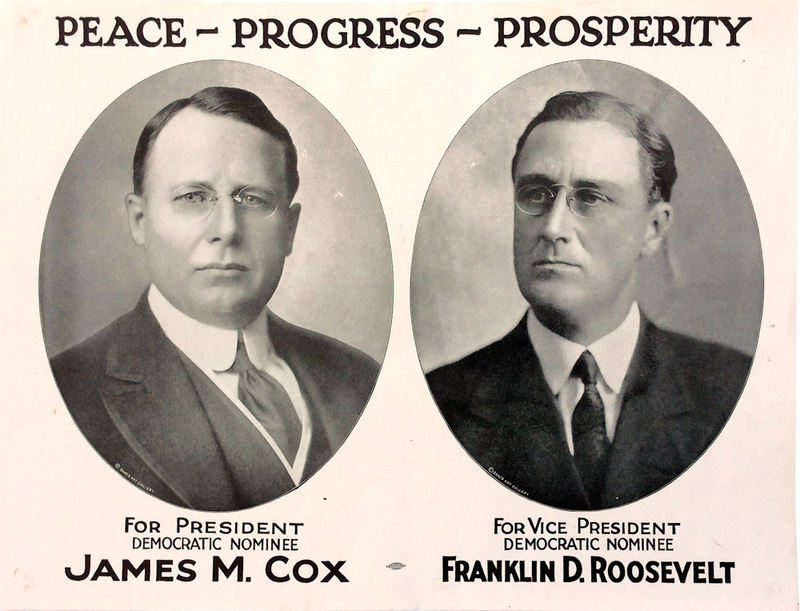 Poster promoting James Cox for president and Franklin Roosevelt for vice president, 1920. A few light marks confined to the margins; approaches mint. Excellent value relative to the pinback jugates, which start around $20,000. This is the best example we have offered!